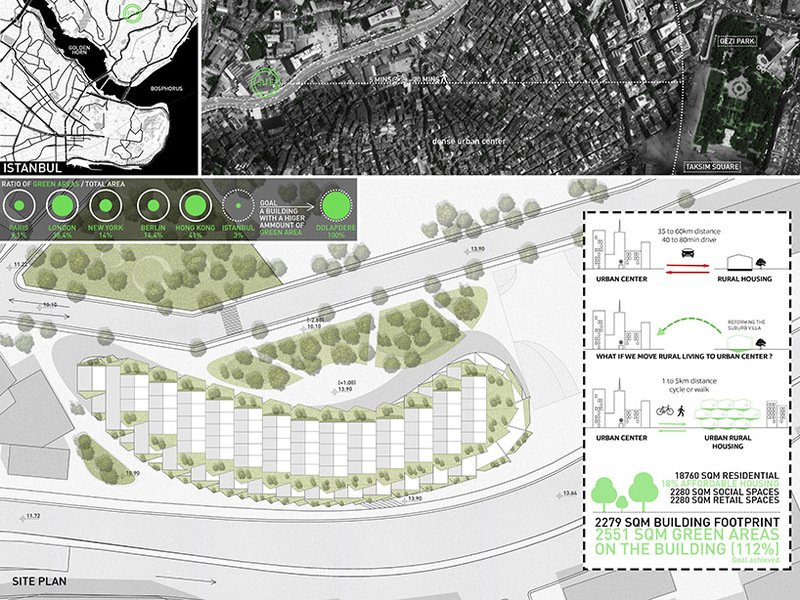 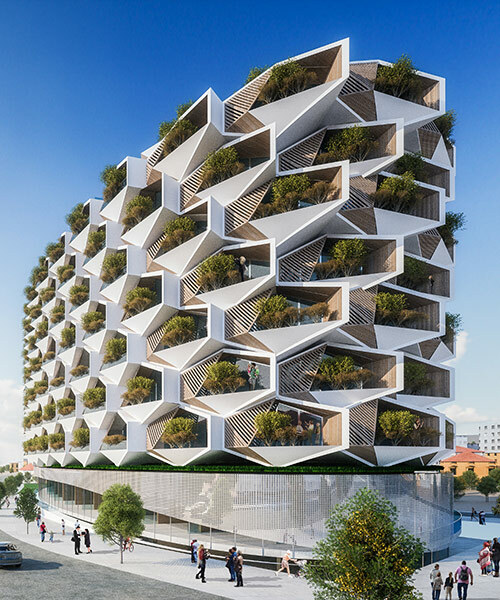 the structure will contain eight stories, seven of which include private residences over a ground story level of social and recreational program that fosters a healthy micro-community within the building. 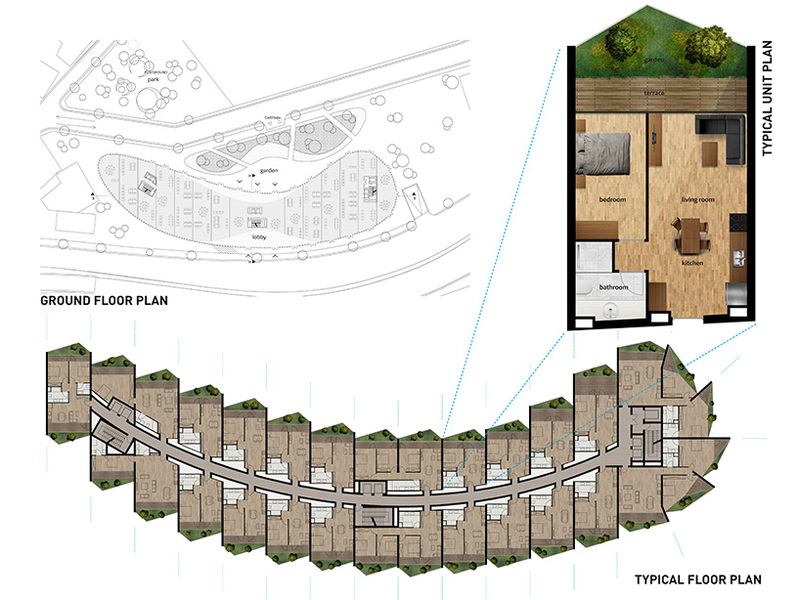 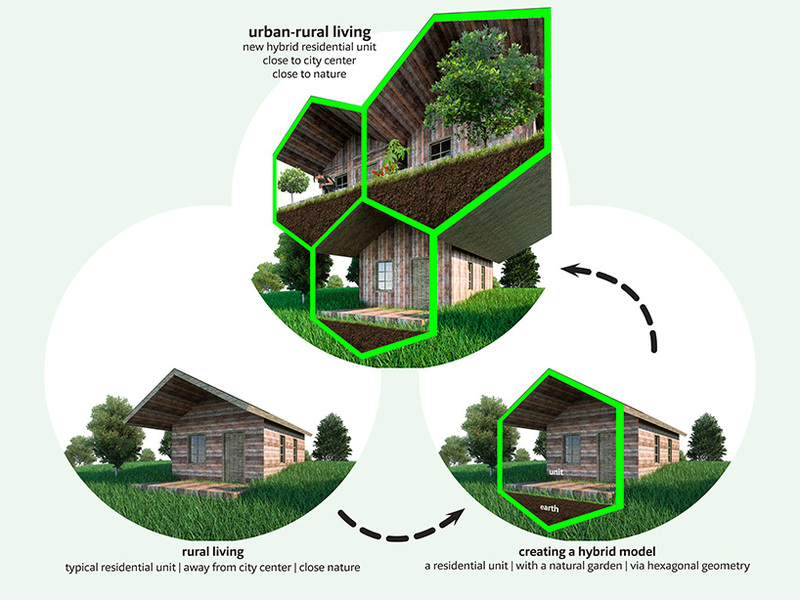 all components- structural, spatial, social, and landscaping- are integrated forming a strong aesthetic and functional union that subsequently promotes a new lifestyle. 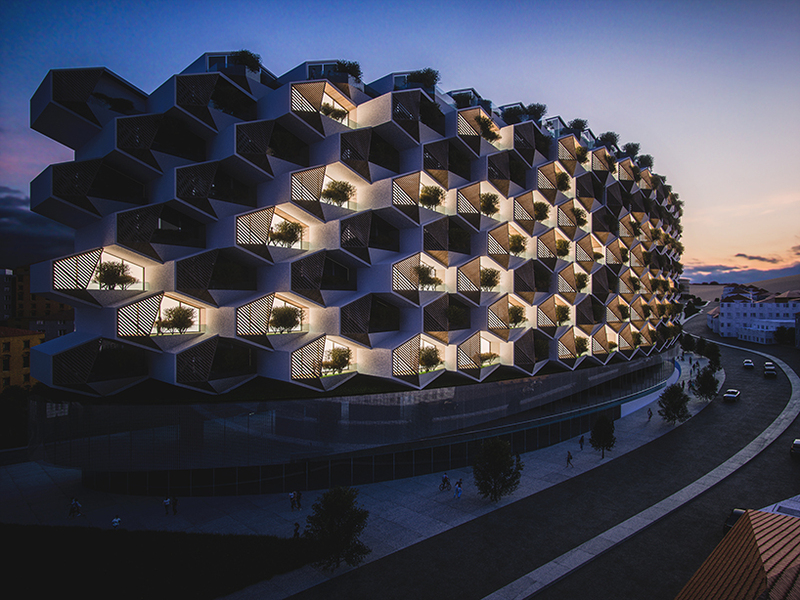 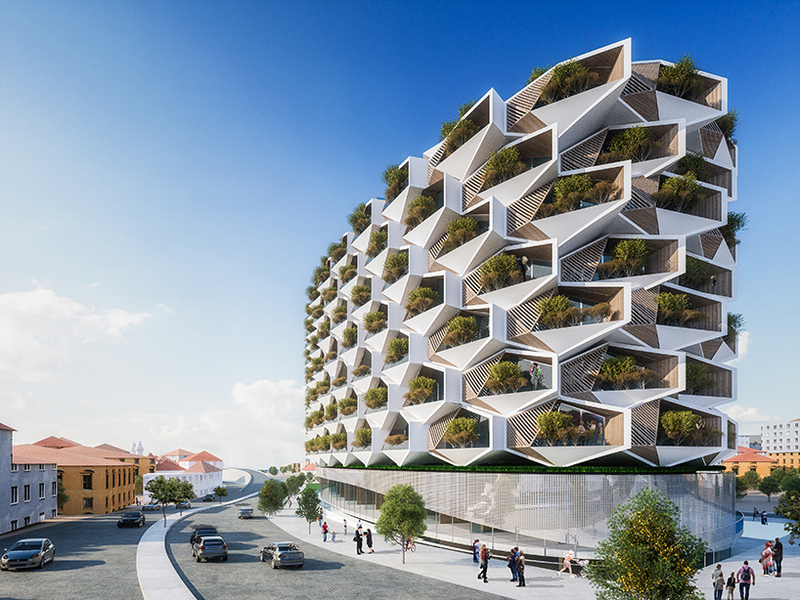 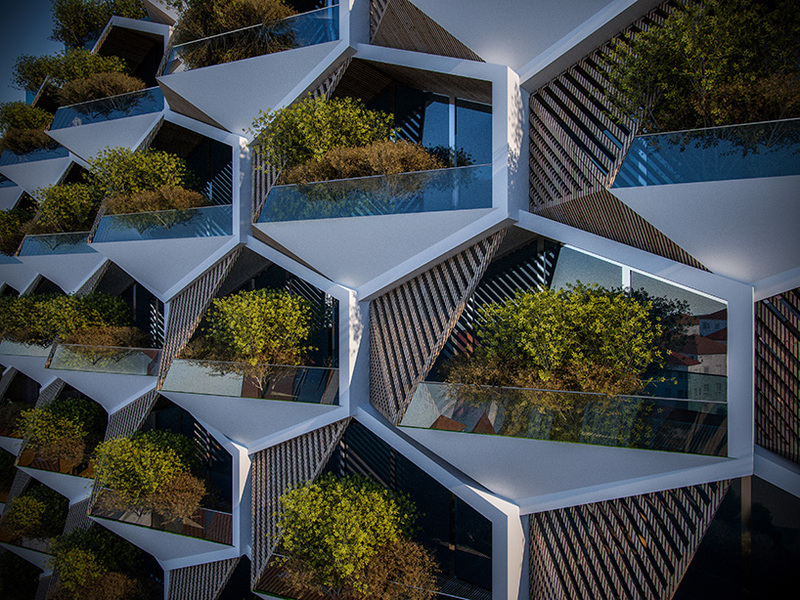 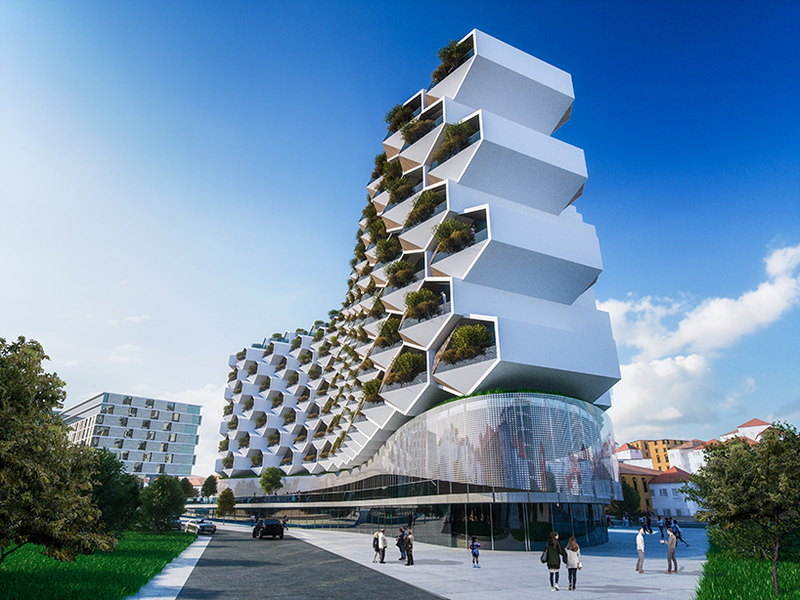 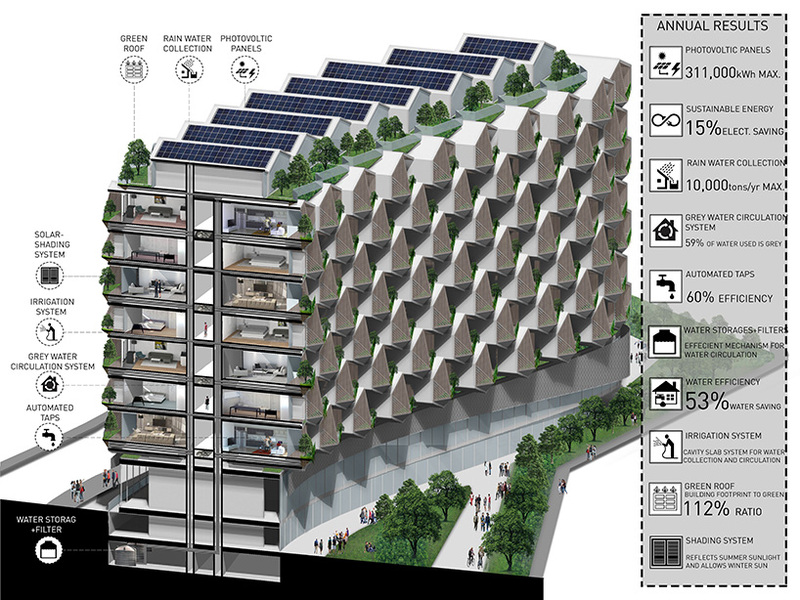 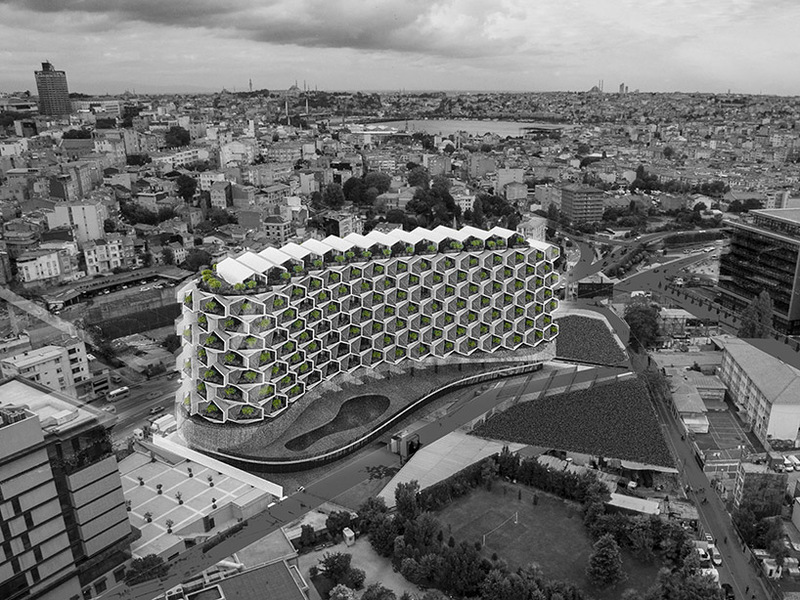 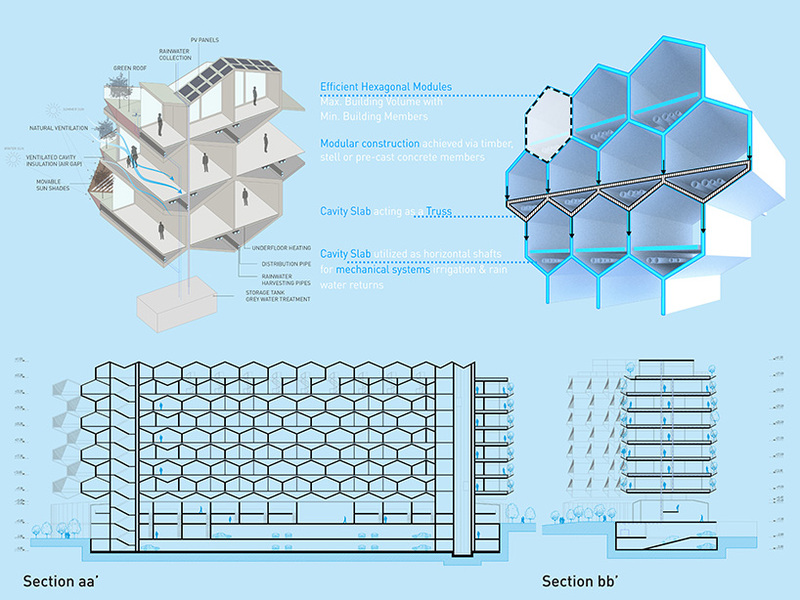 like a beehive, the design is driven from the stacking of hexagonal modules that make up the individual units, maximizing volume with the smallest amount of building material necessary.